Kintsukuroi is the Japanese art of putting broken things back together. When a ceramic pot breaks, kintsukuroi masters repair it by filling the cracks with gold or silver, thus emphasizing the reconstruction because a rebuilt piece is a symbol of fragility but also strength and beauty. 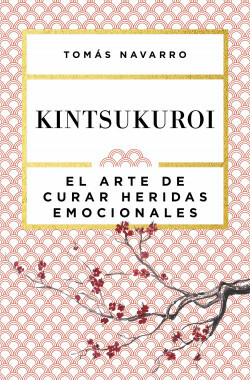 In this book, Tomàs Navarro teaches us how to apply this art to our lives, providing us with all the tools we need to overcome adversity like a true kintsukuroi master. An inspiring guide that teaches us how adversity can be an opportunity to make us into stronger, better people. Saraiva Educasao (Brazil), La Martinière (France), Kösel Verlag (Germany), Giunti Editore (Italy), Muza (Poland), Materia Prima Ediçoes (Portugal), Eksmo Publishing (Russia), Azoth (Taiwan), Mono Generation (Thailand), Xander Uitgevers (The Netherlands), Hodder Stoughton Ltd. (UK).